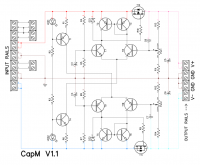 CapM - is an universal capacitance multiplier extension module. 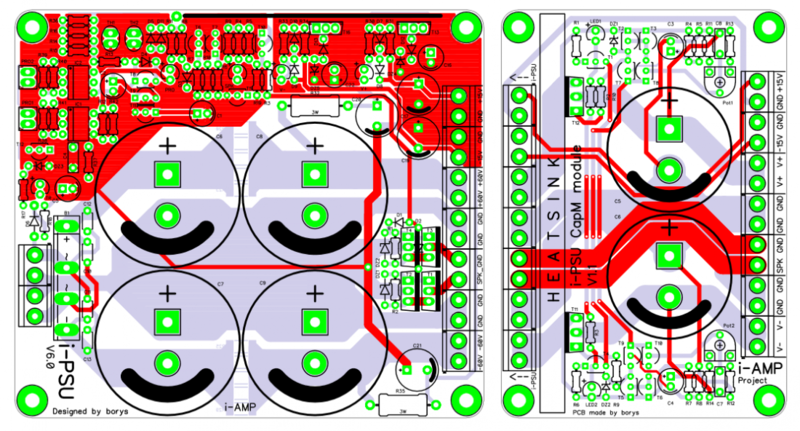 It can be attached directly to the iPSU or any other classic amplifier power supply board. This simple circuit filters out main rails very efficiently. 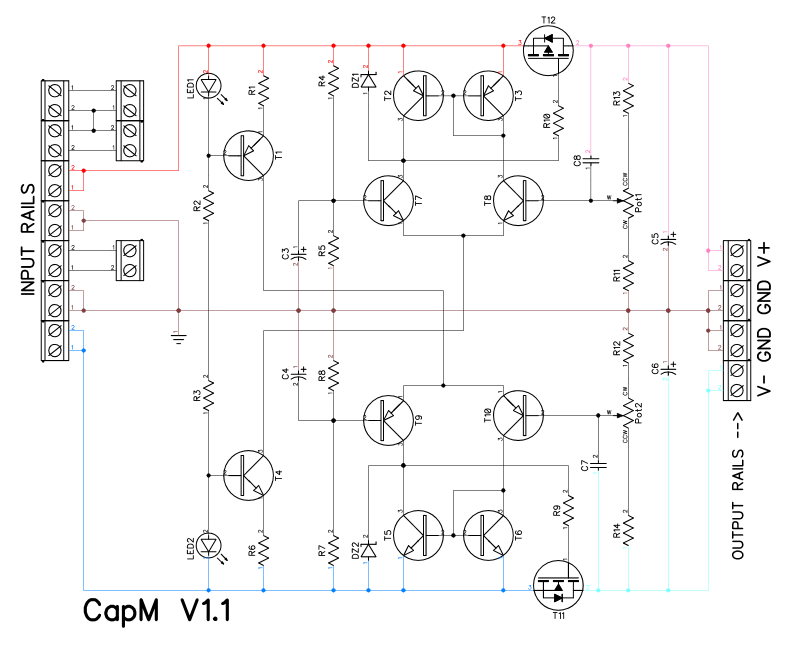 Differential amplifier forms very simple comparator which is sensing the PSU input voltage threw RC network and output voltage is regulated with two mosfets. 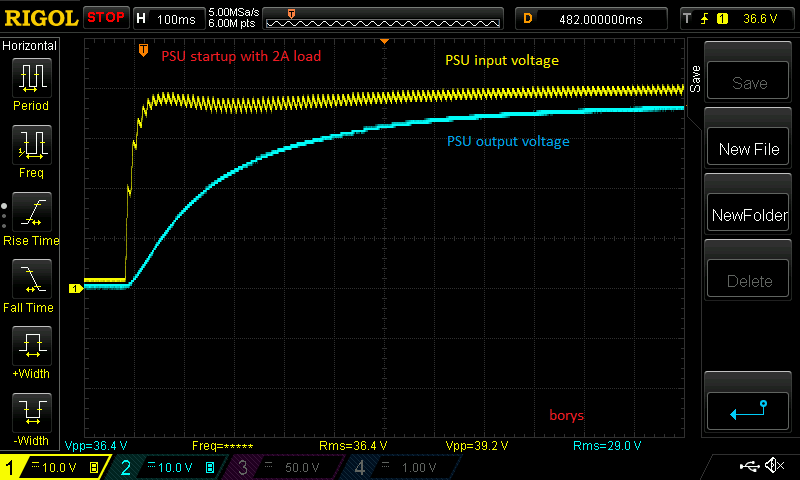 At startup RC network provides very slow/soft voltage rise at the output. 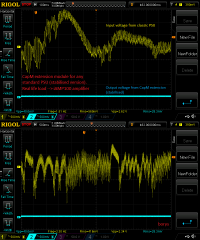 To convert capacitance multiplier into the simple stabilisation it is required to make only one change, replace sensing RC network with fixed reference voltage - replace two resistors with two 24V zeners and job is done (example bellow). 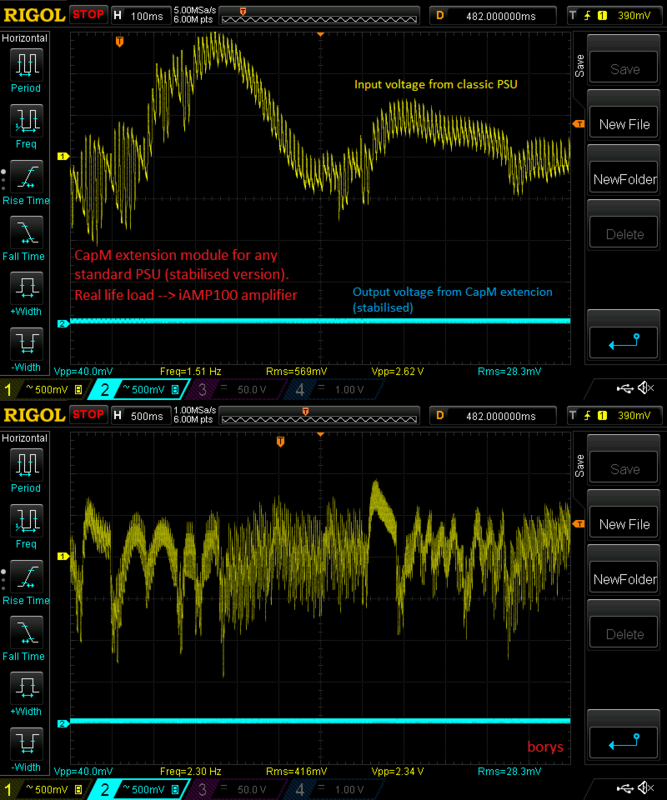 Bellow stabilised version of the CapM module.